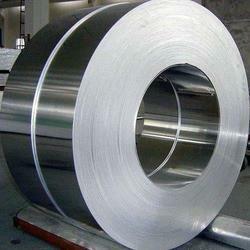 Aesteiron Steels Pvt Ltd, is involved in offering a wide range of Slitting Coils. 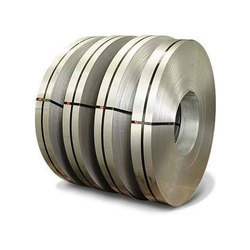 Aesteiron Steels Pvt Ltd, provides a wide range of AMS 5912 Gr 304 Slitting Coils it is readily available in stock was well as in make to order & we have currently exported to countries such as UK, Tehran, Spain, Canada, UAE, Egypt, Srilanka etc. 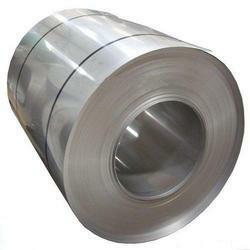 Aesteiron Steels Pvt Ltd, is involved in offering a wide range of AMS 5512 Gr 347 Slitting Coils. 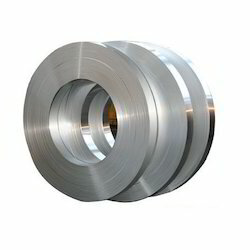 Aesteiron Steels Pvt Ltd. offers a wide range AMS 5907 Slitting Coils. It is available in ready stock or on the make to order. We have recently supplied to countries such as Bahrain, UK, Egypt, Jordan, Nigeria. We are the exporters & manufacturers of AMS 5907 Slitting Coils. We stock, supply & export AMS 5907 Slitting Coils which is used for Chemical equipment, Exhaust manifolds, Furnace Parts, Heat Exchangers, Jet engine parts, Pharmaceutical types of equipment, Valve & pump trim, Paper & Pulp Industry & Textile processing equipment. 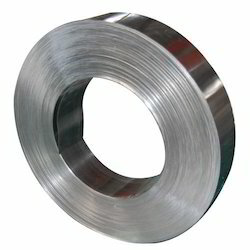 Aesteiron Steels Pvt Ltd, provides premium quality of AMS 5528 Gr 17-7ph Slitting Coils. We Aesteiron Steels Pvt Ltd, are one of the leading trader and of SS 321H ERW Pipe. Aesteiron Steels Pvt Ltd, offers a wide range of AMS 5511 Gr 304L Slitting Coils which is readily available in stock & in make to order. We have recently supplied to countries such as UK, Jordan, Spain, Bahrain, Nigeria, Egypt etc. AMS 5511 Gr 304L Strips, is an chromium nickel stainless steel offering the optimum combination of corrosion resistance, strength & ductility. AMS 5513 Gr 304 Strips, has good welding characteristics. To restore the excellent performance of these grade in a wide range of mildly corrosive conditions, post weld annealing is not required. 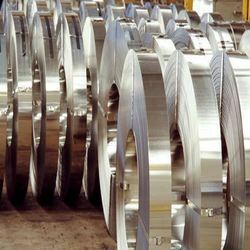 Aesteiron, provides a wide offer of AMS 5514 Gr 305 Slitting Coils, which is available in ready stock or make to order & we have currently supplied to countries such as UK, Bahrain, Nigeria, Egypt, UAE, Spain, etc. It is an austenitic stainless steel. 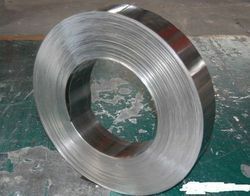 AISI 305 stainless steel coils has welding position bending resistance. It is suitable for deep processing. AMS 5514 Gr 305 Slitting Coils Applications such as aviation, aerospace, chemical industry, nuclear energy, petrochemical industry, automotive industry, etc. 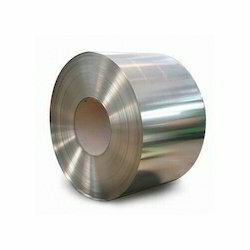 AMS 5514 Gr 305 Strips, is an austenitic chromium nickel stainless steel with a low rate of work hardening. It makes it suitable for many deep drawing applications. Aesteiron Steels Pvt Ltd, offers a wide range of AMS 5515 Gr 302 Slitting Coils, it is available in ready stock & make to order. We have recently exported to countries such as UK, Spain, Bahrain, Malaysia, Indonesia, Jordan etc. AMS 5515 Gr 302, is an austenitc, non magnetic, extremely tough & ductile steel. 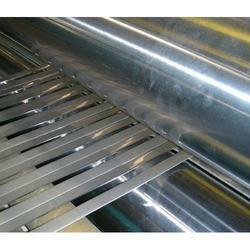 It is one of the more common chrome nickel stainless & heat resisting steel. AMS 5516 Gr 302 is used for applications such as stamping, spinning & wire forming industry to food & beverage, sanitary, cryogenic & pressure containing. AMS 5517 Gr 301 Strips, is an austenitic stainless steel capable of attaining high strength & ductility by cold working. 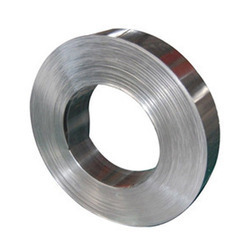 It is non magnetic in the annealed condition & becomes increasingly magnetic with cold working. AMS 5518 Gr 301, is an austenitic chromium nickel stainless steel that provides high strength & good ductility when cold worked. It is a modification of 304 in which the chromium & nickel contents are lowered to increase the cold work hardening range. AMS 5519 Gr 301, is usually supplied in the form of strips & wire. The resistance to corrosion offered by stainless steel grade 301 is similar to that offered by 304. It exhibits good corrosion resistance to corrosion in mildly corrosive environment at ambient temperature. 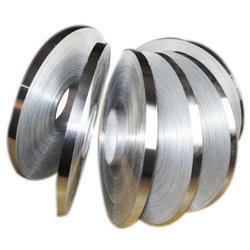 Aesteiron Steels Pvt Ltd, is the leading manufacturers of AMS 5907 Gr 316 Slitting Coils. We provide a wide range of AMS 5524 Gr 316 Slitting Coils in ready stock or in make to order & currently we have supplied to countries such as Bahrain, UK, Nigeria, Spain, Egypt etc. 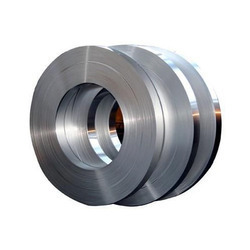 AMS 5524 Gr 316 Slitting Coils is used for applications such as Chemical equipments, Furnace Parts, Jet engine parts, Valve & pump trim, Textile processing equipments, Paper & Pulp Industry, Pharmaceutical equipments, Heat Exchangers, Exhaust manifolds etc. AMS 5524 Gr 316 Strips, is the standard molybdenum bearing steel. It gives better corrosion resistant properties than SS 304 grade. It has higher resistance to pitting & crevice corrosion in chloride. AMS 5901 Gr 301, is known for its high strength & excellent corrosion resistance. It is non magnetic when annealed however its has the ability to be modified along with its other properties. AMS 5902 Gr 301 Strips, is useful for a wide variety of applications such as aircraft structural parts, trailer bodies, utensils, architectural & automotive trim, roof drainage products, conveyor belts, sinks, strom door frames etc. AMS 5903 Gr 302 Strips, is austenitic, non-magnetic, extremely tough & ductile steel. It is one of the more common chrome nickel stainlsess steel & heat resisting steels. AMS 5904 Gr 302, has properties such as resistance to corrosion & oxidation, excellent formability, good strength & toughness at cryogenic temperature. 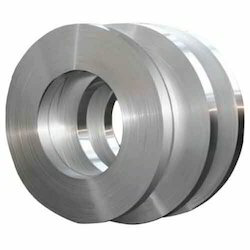 Aesteiron Steels Pvt Ltd, provides a wide range of AMS 5905 Gr 302 Slitting Coils. It is readily available in stock or make to order. And currently we have exported to countries such as UK, Indonesia, Malaysia, Baharain, Nigeria, Dubai, Egypt etc. AMS 5905 Gr 302 Strips is a slightly higher carbon vesion than grade 304. It is widely used in the stamping, spinning & wire forming industry. 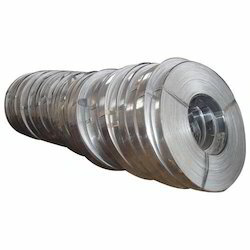 Aesteiron Steels Pvt Ltd, is the suppliers of AMS 5906 Gr 302 Slitting Coils. It provides has higher carbon. 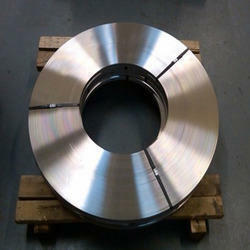 AMS 5906 Gr 302 Slitting Coils is readily available with us or make to order. We have currently exported to countries such as Bahrain, UAE, Spain, Nigeria, Saudi Arabia, Nigeria, etc. AMS 5906 Gr 302 Strips, is used for stamping, spinning & wire forming industry, food & beverage, sanitary, cryogenic & pressure containing. It is also formed into all types of washers, springs, screens & cables. 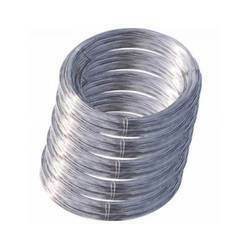 Aesteiron Steels Pvt Ltd, is the suppliers of AMS 5910 Gr 304 Slitting Coils which is used for manufacturing boilers, pressure vessels, heat exchanger, chemical plants, petroleum refineries & power generation. We provide a wide range of AMS 5910 Gr 304 Slitting Coils which is readily available or make to order & recently we have supplied to the countries such as Spain, Bahrain, Nigeria, Egypt, UK, Saudi Arabia & Dubai. 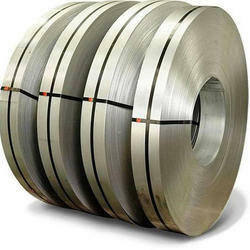 Aesteiron Steels Pvt Ltd, supplies a wide range of AMS 5911 Gr 304 Slitting Coils. It is available in stock as well as make to order & we have recently supplied to the countries such as Spain, Bahrain, Nigeria, Egypt, UAE, Jordan, etc. AMS 5911 Gr 304 Slitting Coils, is used for application such as Nuclear Projects, Shipbuilding, Offshore, Oil Field, Marine Industries, Heat Exchangers, etc. 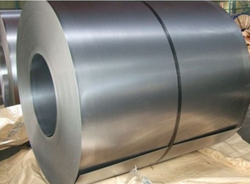 AMS 5911 Gr 304 Strips, is the most widely used austentic stainless steel. In the annealed condition it become non magnetic & becomes slightly magnetic with the application of cold work. AMS 5912 Gr 304 Strips, is non magnetic annealed is used extensively in the chemical, paper & pulp, refrigeration, food processing industries. It has high degree of ductility, excellent drawing, forming & spinning properties. 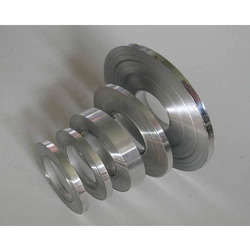 Aesteiron Steels Pvt Ltd, is the leading manufacturers of AMS 5913 Gr 304 Slitting Coils. It is readily available or on made to order in all sizes & finishes. We have recently exported to countries such as UK, Bahrain, UAE, Nigeria, Egypt, Spain, Iran etc. AMS 5913 Gr 304, is the most versatile & the most widely used of all stainless steel. Its weldability & corrosion resistance provide the best all round performance stainless steel at relatively low cost. Aesteiron is involved in offering a wide range of AMS 5529 Gr 17-7ph Strips. 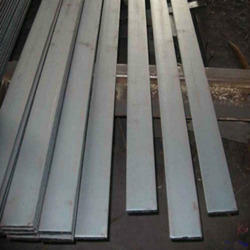 Aesteiron Steels Pvt Ltd, provides premium quality of AMS 5510 Gr 321 Strips. We provide premium quality of AMS 5507 Gr 316L Strips & Foils. 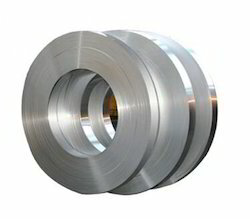 Aesteiron Steels Pvt Ltd, are Suppliers of high quality AMS 5503 Gr 430 Strips. 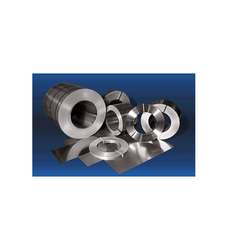 Aesteiron Steels Pvt Ltd, is involved in manufacturing AMS 5907 Gr 316 Stips & Foils. Aesteiron Steels Pvt Ltd, is engaged in manufacturing and supplying an optimal quality range of Strips & Foils. 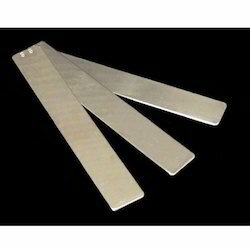 Aesteiron Steels Pvt Ltd, provides premium quality of AMS 5528 Gr 17-7ph Strips & Foils.